I've gone on enough no-sugar and/or detox kicks by now. I know myself. I cannot resolve to cut sugar out of my diet for the rest of my life. I don't want to either. (And I'm amazed at those of you who have the strength to abstain.) I like love dessert. It's fun + relaxing to mix and bake . . . and, undeniably, dessert tastes good. What I've finally accepted is that dessert cannot and should not replace meals, particularly breakfast. That's a part of maturing my eating habits that I understand. Knowing is half the battle. So, I've been experimenting with substitutions and alternatives. And not at the flavor's expense. And now I've changed them again. Chocolate chip cookies are my favorite dessert by far. I'll continue to make variation after variation, too. I'm that passionate and dedicated! This time, I took the original recipe and . . . I also swapped the pecans for crushed walnuts because that's all we had in the pantry. So, for any of my friends or family wondering what I did with my birthday money this year -- I bought these alternative baking supplies. We don't have money in the budget to always afford such interesting and exotic luxuries. 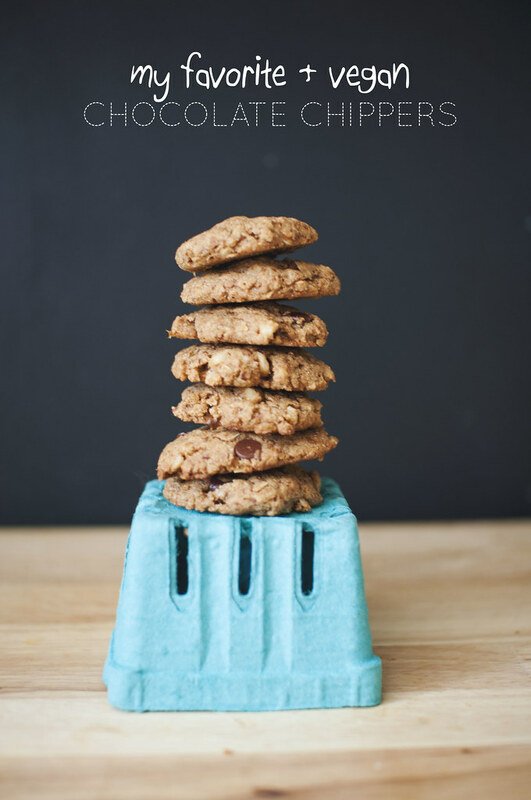 These cookies are, in fact, literally a treat . . . on many levels. 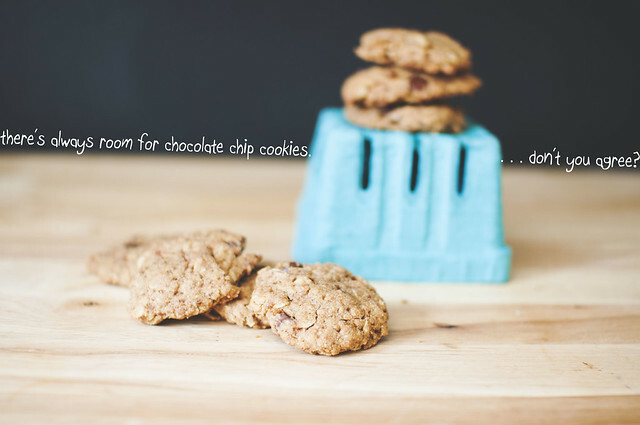 As far as taste and texture, they are similar to the original recipe, just a bit chewier. It was my first time using sprouted flour, but I can surely tell a difference from a digestive perspective. And perhaps because I was using special ingredients, I was much more careful to conserve these cookies and resist eating them all in a week a day. Have you baked with sprouted flour? I'm itching to try something else. Perhaps a pie crust! I have all these frozen plums and I think pie might be just the thing. Baking is truly an emotional release for me. It's also given me time to think these last few weeks -- and I think I've been on a roll so I should keep it going!